What Are Your Goals for Inbound 2012? All of us at the LW corral are getting pretty excited about Inbound 2012 coming up next week! If you are an inbound marketer or are interested in crafting a website designed for inbound marketing, Inbound 2012 is the place to be. Education - What do you want to learn about? Or maybe, what can you learn that will help your department, company, or client? Paid search? Content? Strategy? There's likely a break-out or presentation for you. If you have a team attending, send colleagues to sessions where they can grow their required skill set. Lead Nurturing IRL - IRL = "in real life." 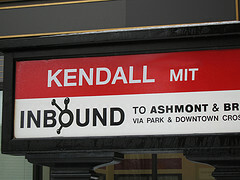 You may have a potential sale waiting for you at Inbound 2012. Maybe a prospective customer is attending or you'll bump into a lead with many conversions on your site. Chat them up. Take them to dinner. We spend so much of our time on conference calls and in front of our computers, take advantage of Boston and face time to close that deal. Network IRL - have a client attending? Have your weekly meeting with them face to face. Show them your new creatives or explain your new content strategy while sitting next to them. Have them meet the rest of your agency team. Thank a HubSpotter - We love HubSpot. Your business has probably grown from a combination of your own efforts and HubSpot's valuable software and content. Thank the HubSpotter that gave you that sweet referral or helped you build that call to action. Say hi to Brian, or Dharmesh. We are all part of the inbound movement. And by all means have some fun. Show your true colors - just don't get arrested for it, or worse yet - post pictures of your debauchery on Facebook.